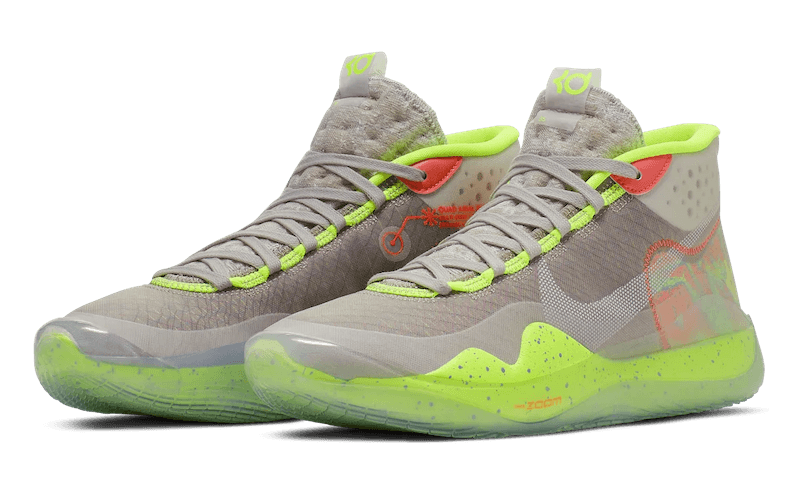 Released on April 1, 2019, the KD 12 debuted with the 90s Kid colorway on the feet of Kevin Durant in a game against the Oklahoma City Thunder. 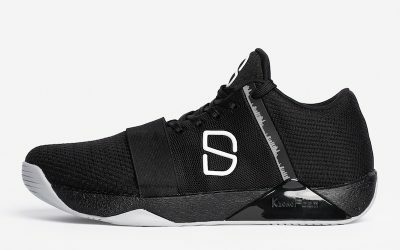 The shoe is a significant departure from previous shoes in the KD line and, in some respects, from standard shoe design practices. The upper is made of transparent layers that allow you to see the inner workings of the shoe. Most of the Flyknit material is gone and remains only in the tongue. 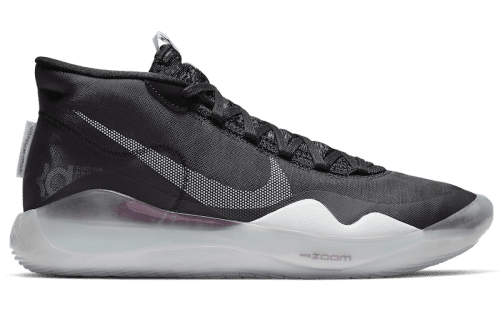 Lastly, Nike has emphasized a new method of manufacturing the strobel, an often overlooked component near the sole of the shoe that is responsible for the support and shape of the upper. 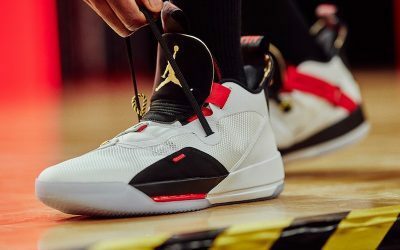 The shoe retails for $150.